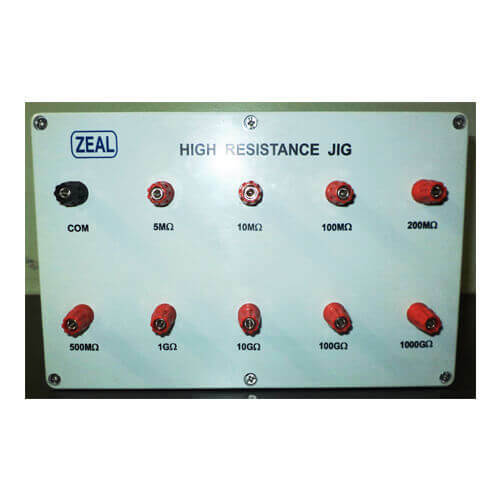 High Resistance jigs are designed to calibrate Insulation Resistance Tester, Meg Ohm Meter, High Resistance Meter, and Megger etc. They are available in two models (1) High Resistance Jig 100 G Ohm (2)High Resistance Jig 1000 G Ohm . Resistors are placed in special plastic enclosure & sealed so that moisture & dust cannot enter and hamper the stability. 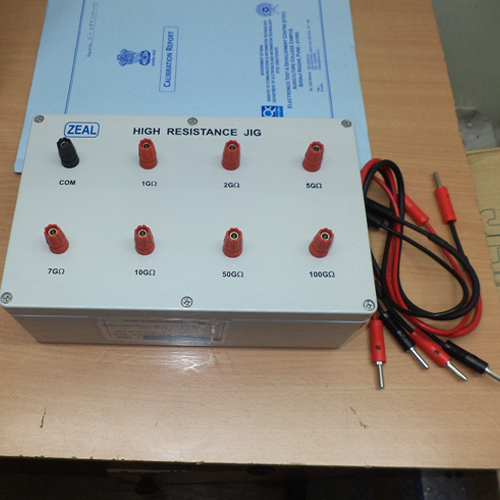 All the resistors can handle test voltage up to 1000V DC in first model and upto 5000 V DC in the second.